With the number of new STD cases in the US hitting an all-time high, taking care of your sexual health is more important than ever. If you have made the smart decision to get tested but cannot decide between Personalabs and Any Lab Test Now , we can help you make up your mind in a matter of minutes. 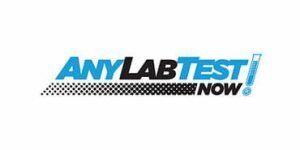 View our detailed Personalabs VS Any Lab Test Now comparison below and find out which company can provide a higher quality of service and make the whole process less uncomfortable.